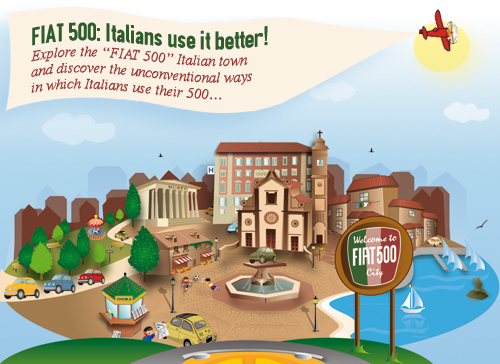 Explore the "FIAT 500" Italian town and discover the unconventional ways in which Italians use their 500. Play now and challenge your friends! Want to read more about Italy?